One man band rock n' roll from Coldwater, Michigan. 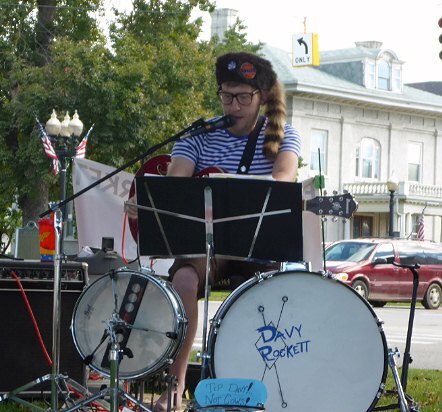 David Hemker started out with a band called the Hemingers, but in 2014 rebilled himself as a solo act called Davy Rockett. He got his first professional gigs in 2015 (see events below). Click here for the official Davy Rockett Facebook page. Page Last Updated 2017/06/11. Branch Area Guitars website operated by MyColdwater.com, © 2015. All Rights Reserved.